Convenient and easy to use, cordless electric shavers are available for women and men, and many come with their own charging station. 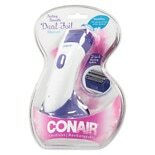 Women's electric shavers can keep the skin on the underarms, bikini area and legs smooth and silky. Men's shavers can give you a close, clean shave or trim your mustache or beard to your preferred length. 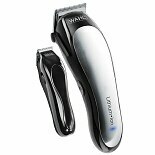 You'll find cordless electric razor brands such as Wah, Conair, Emerson and more here at Walgreens.com. 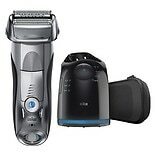 Decide whether you'd like a cordless electric shaver with multiple or single blades. Many electric razors operate wet or dry and can include washable shaver heads for easy maintenance. Specific shavers such as beard and mustache trimmers can be used to trim sideburns and keep a neat appearance. 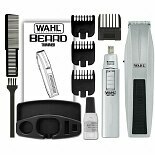 There are complete clipper and trimmer kits for comprehensive grooming. 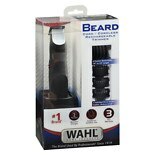 We also carry cleaners, electric razor car adaptors and replacement parts such as heads and cleaner cartridges.